The logo for Stewert had to be racy and energetic without being cheesy, so I created the main logotype using the Exo font punched through by the diagonal pattern of car tread. Stewert also wanted to feature his trademark “lid” (helmet) on the logo, so I added this underneath on the Motorsport container. With red and blue already used everywhere in racing, I chose dark blue and orange as a slightly more exciting option. 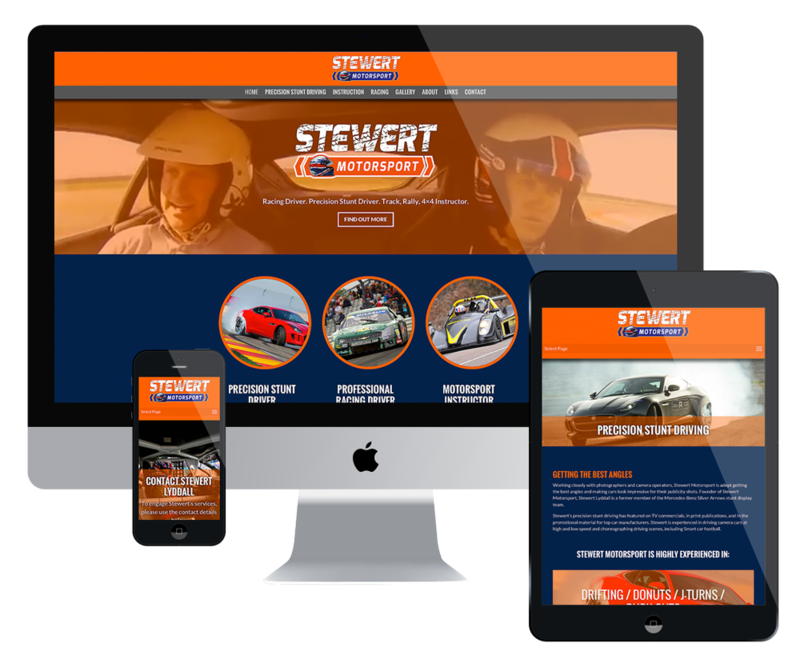 Stewert’s current website was a badly broken Dreamweaver site which he had been tinkering with for years, that was in dire need of a complete overhaul. A cool responsive WordPress site was going to be just what the doctor ordered! At the outset, Stewert wanted to feature a new promo video he’d just had produced, so I suggested we put this front and centre on the homepage as a background video. This was overlaid with orange so that the logo and type would stand out clearly. I created more movement on the pages by animating the images as the user scrolls down the page. The three main services are highlighted straight after the header video for visitors to click through and find out more. A contact form and Facebook feed near the end of the page encouraging further interaction. 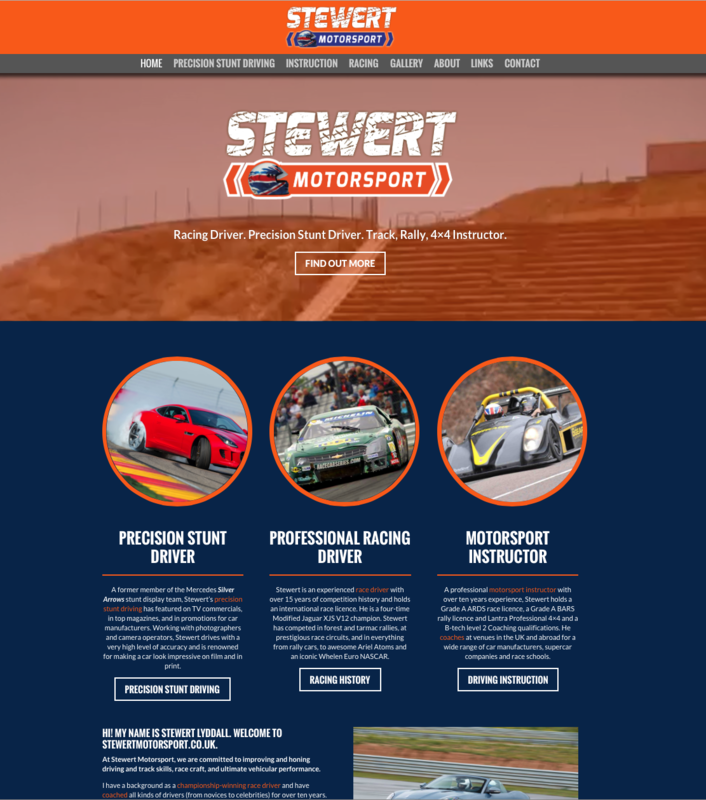 With further pages highlighting his amazing driving skills, a gallery for images and video, Stewert is really pleased with his new site, and is getting lots of positive feedback from his customers.